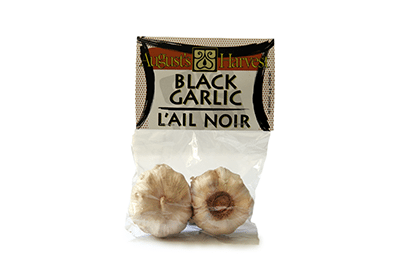 Black Garlic is browned and sweetened through a process called the Maillard Reaction. 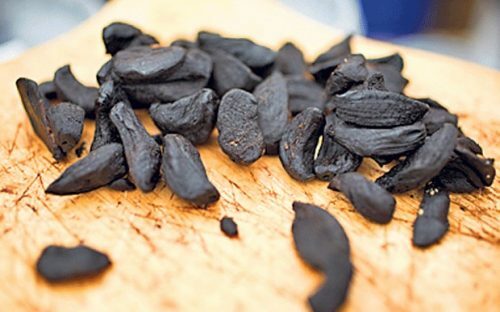 The cloves are placed under high heat and humidity over a period of a couple weeks. This creates a sweet flavor with hints of balsamic vinegar and tamarind. This delicacy is very popular in asian cuisine!